The SOUL OUTSIDERS are HOT! Recently recommended in a MAJOR Bridal Magazine as "GREAT Entertainment" for wedding receptions, the number of requests we've been getting for the SOUL OUTSIDERS has gone out the roof! We knew, but now everyone else is finding out! The Soul Outsiders are a relatively new band to the Memphis Music scene, although their members have made an impact through other live groups over decades! 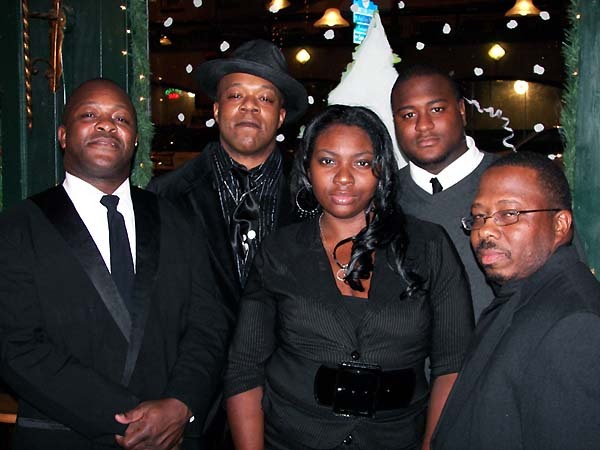 The Soul Outsiders perform a wide range of material, covering everybody's favorite soul classics from Motown along with some great blues from the Delta! But it doesn't stop there! This band has also added some of the more modern dance/hip-hop tracks to their sets, in a very tasteful way! Perfect for any occasion. The band performs a standard serving of soul and rhythm and blues hits from across the spectrum. They are a staple band on Beale Street in Memphis, TN and provide musical Entertainment for weddings and private parties across the region. Both male and female vocals give this band a little extra variety, while the horn players even add a little vocal to the mix, as well. Check out the song list and listen to a clip.